Do you dream about transforming your outdoor space but do not know where to start? Do you drive by your neighbor’s house and secretly envy their immaculate yard work? Instead of yearning for designer landscaping, you can create your own admiration-inducing yard by utilizing landscaping apps to build the outdoor space of your dreams. Following are a few landscaping apps you can consider. Available from Home Revivals, this one allows users to plan their landscaping layouts on their iPhone or iPad. Users can try different types of lawn layouts, can analyze raised garden beds in a variety of locations, and can even try different types of trees and shrubs in their yard. Whether a user wants to visualize how a weeping Japanese maple would look in their front yard or decide whether a row of cedar shrubs would be appropriate along their driveway, they can do so using this. Users can decide between paving stones, bricks, or garden mulch. Also, they can choose between deciduous trees or evergreen shrubs. Users can even examine their options in order to choose between perennials and annuals. For a landscaping app with numerous enticing options, iScape is definitely worthy of a deep dive inside its multiple features. Available from Stevenson Software, this app is a must for those wanting to investigate multiple plant options prior to purchasing landscape elements. Users can search an extensive database covering over 26,000 types of plants. It provides information including everything from soil and watering requirements to sun exposure required and expected growth rates. Users can discover which plants are deer resistant, which plants offer the most blooms, and which plants are most viable based upon location. From shrubs and trees to cacti and conifers, it covers them all. Whether a user wants information on vegetable garden planting or ornamental grasses, a wide range of landscaping topics are covered. Available from Timber Press, this app allows users to choose the best trees and shrubs for their needs. It offers information on almost 10,000 shrubs and trees. Users can customize their searches in order to find exactly the right type of vegetation for their soil and sun conditions. With the ability to customize their search based upon specifics like plant hardiness, growth rate, or even common garden name, this app offers landscape enthusiasts a virtual nursery at their fingertips. Relatively expensive compared to other landscaping apps, it is likely to be an app that is used repeatedly. Available from Rivolu, this light-tracking photography app is useful to gardeners and landscapers too. Users can discover sun exposure information for different elevations, track sunrise and sunset times, and even observe moon phases. It offers an integrated compass for efficiency, azimuth charts for the sun and moon, and shadow lengths for a variety of elevations. For users who are serious about their landscape planning, LightTrac is worth investigating. 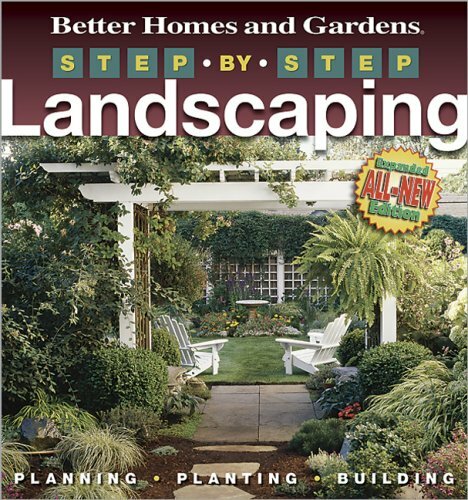 Available from Northstar Publishing, this app offers iOS access to the Landscape Architect Business magazine. For those on the hunt for landscaping ideas, spending a quiet afternoon flipping through this app’s images is likely to be highly rewarding. Topics covered include everything from water features to outdoor decks and paving stones. These five landscaping apps are just a select few of those available to those interested in beautifying their outdoor space. Search for them on iTunes or your favourite app store.